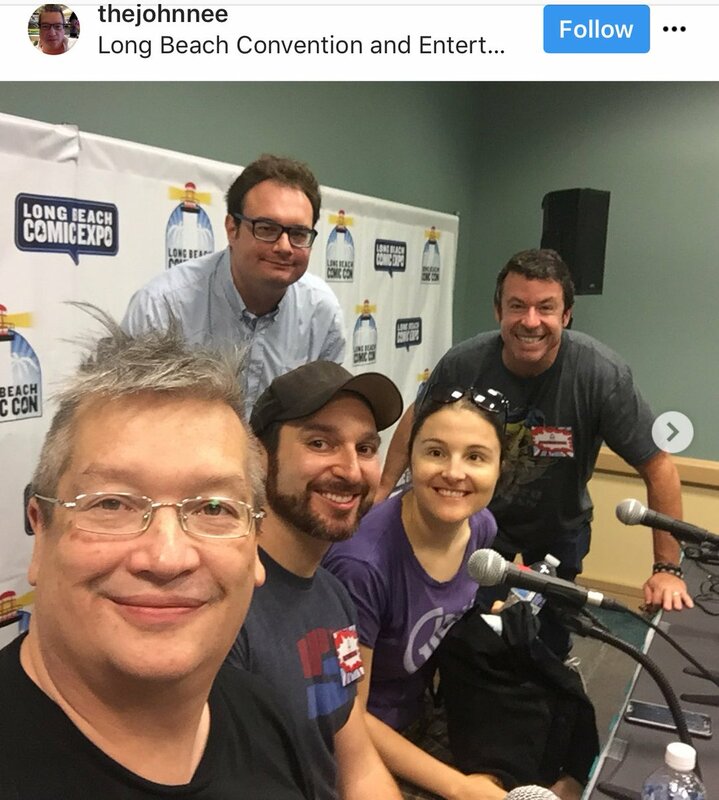 If you are interested in writing for games, or how to break into writing, Long Beach Comic Con had the panels for you this month. For the “Writing for Video Games: the Real Behind the Virtual” panel, I joined Tony Bedard (Agents of Mayhem), Jon Callan (Survios), Shawn Kittelsen (Injustice 2), and John Nee (Cryptozoic) to discuss the trials and tribulations of writing games, and how it differs from other media. You can check out a short write-up here. Afterwards, I joined Brandon Easton (Agent Carter) and Geoffrey Thorne (Librarians) on “The Writer’s Journey: Breaking in and Managing a Career in Hollywood.” Brandon puts on this panel at Comic-con, Wondercon, and LBCC, so you know it’s bound to be good. He gave people good advice on best books to read, including WRITING THE TV DRAMA, and WRITERS ON COMICS SCRIPTWRITING. I may have to check those out myself. Did you get a chance to attend either panel? If you did, drop a comment and share the best thing you learned!